Swimming competitions may be classified by the speed of the swimmers involved or the format of the meet itself. These are some terms that you should be familiar with. Short Course swim meets are held in pools that are 25 yards or 25 meters long. The short course swimming season is traditionally held from September through April. Long Course swim meets are held in pools that are 50 meters long. The Olympics and National Championships are always held in long course pools. The long course season is traditionally held from May through August. In Timed Finals swim meets swimmers are ranked according to their time against all swimmers in their age group in every heat. Athletes swim each event once during the course of the meet. 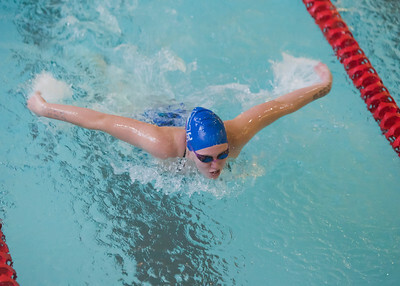 Preliminaries and finals (prelims/finals) type competitions involve swimming twice in one day in the same event if the swimmer qualifies for finals. Morning preliminaries are held to determine the top ten, twenty, or thirty swimmers in each event. The swimmers are then reseeded according to their preliminary time for the evening finals. In ten-lane pools the “championship” heat contains the top ten from the prelims, the “consolation” heat has the 11th through 20th place swimmers from the prelims, and the “bonus” heat has the 21st through 30th place swimmers from the morning. Swimmers may not displace a swimmer in a faster heat during the finals even if their time is faster in the evening. Open swim meets mean swimmers of any speed are eligible to compete. However, separate award systems may be utilized for swimmers of different speeds. Time Standards may be employed to define a swimming competition. In some cases faster swimmers may be excluded from the meet, in other cases slower swimmers may be excluded. Qualifying times may be derived from the national age group “AA”, “A”, “BB”, “B”, time standards, or from formulas specific to that meet. Illinois Swimming also has time standards for the following year ending meets: Regionals, Age Group State, and Senior Championships. USA swimming has time standards for the following meets: Sectionals, Junior Nationals and Senior Nationals. Age Group swim meets are specifically defined competition by age. Traditional groupings include 8 and under, 10 and under, 11-12, 13-14, and 15-18. Age group competition may also be held in “single age” groups, or “odd age” groups (ie. 10-11, 12-13). In a Senior swim meet swimmers are not grouped by age, therefore a thirteen year old may compete against a nineteen year old in the same event. 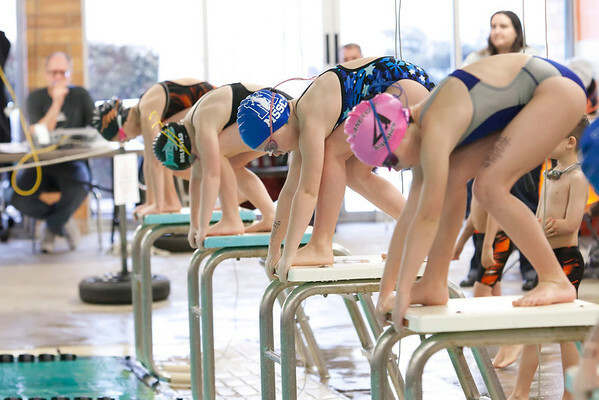 In some meets both age group and senior competitions are held concurrently.